Pale Janus, the designer behind “Pale Heretic,” is a man of many surprises. After having brought the spirit of bespoke in SL with his limited — and quite expensive — suits, he comes back on the scene with a couple of super affordable suits: “Core suit” (sold for 80 Lindens with 5 different shirts), and “Twisted Suit” (sold for 240 Lindens with 3 jacket versions, 3 pants versions, 6 shirts, gloves, 4 tattoos…) soon on slmen. Exclusivity amateurs, don’t worry, Pale will offer you soon new limited series of suits! Limited or unlimited series offer the same level of quality: the best. Just on one hand everyone can have a suit, with a low price and unlimited amount of copies sold, and on the other hand only a few will buy a limited very short series, at high prices, but for a real exclusivity and not, as some do — too many these days it seems — just selling at stratospheric prices items with unlimited amount of copies. Lets talk about this “Core Suit”: in the pack, you will get a pair of pants on the pants layer, a jacket on the jacket layer, and 5 different shirt and tie combos on the shirt layer. Four shirts are dark grey, one with a nice embroidery on it (it shows only when you wear it without the jacket), with different green ties, one is green with a black tie. Everything is nicely textured, with an attention to details which is Pale Heretic mark of fabric. No prim attachment here, but shadowing and highlighting are so good you really don’t need any. Shirts are preset with some volume to the sleeves, so when you wear the jacket with them, no ugly tight sleeve look. You may want to tweak the setting to suit your taste, which is totally possible as everything is moddable (and copy-no transfer). Useless to tell you to run to take your copy of this very good suit at an incredible price! Also showing: a nice new hair from Exile, “Avant Garde,” in the beautiful texture “Mink,” a preview of the new skin from Minnu Model Skin “Beijing” in “Sunkissed” tone in a nice chin beard version — Soon an indepth review on slmen —, the always perfect “Dublin” boots from “JCS” in this “Sage” color which matches perfectly the green on the “Core Suit,” and a superb platinum ring from “Guillaume pour homme.” Enjoy! Pale Janus for “Pale heretic” releases a lot of add-ons for his Fatigued suit these days. The pants can obviously be used alone. The prices are now totally in line with the market and the quality level he offers! 50% off sale at “Boing Fromage,” only at the given address, for an undetermined time. Not many things for men, but you could pick some funny tee shirt and their smart add-ons, plus a few other pieces for a very good price. Be careful in the shop, the place is packed and the vendors over-used. Be sure to click “pay” only when what you want is showing on the display. If someone browsed the vendor during the payment process, you will get another item! I show you as well some more pieces of the new “Rubber” jewelry collection by Mhaijik Guillaume. PALEHERETIC Fatigued Suit - Pants VinyBlackl LoTop & !BF! Argyle Crows V-Knit in “Khaki and Carbon” and “Rose and Chocolate”. If, like me, you would like to have more contrasted ties on the shirts coming with “Fatigued suit,” the last Pale Heretic’s creation (original post here), you will be happy! 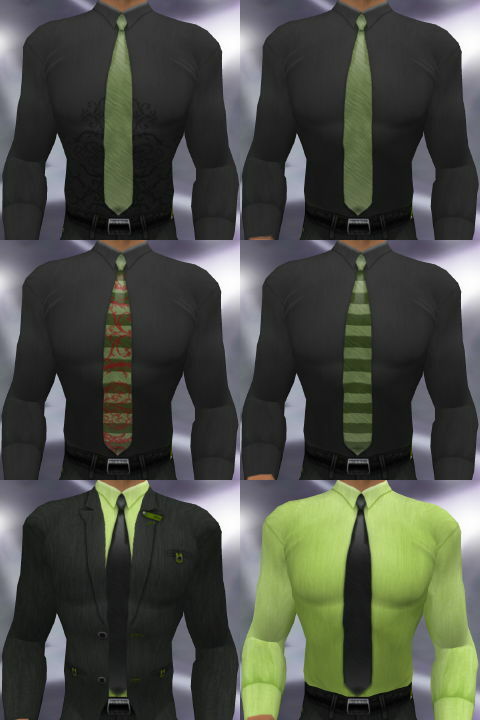 Pale Janus offers 5 new shirts with ties (shown below). You can get them for free in the shop; they will match perfectly the complement on the underpants layer already in the suit’s box. They form a gorgeous addition to the first ones. So you now have 12 tops with the new Fatigued Suit: 10 shirts with tie, one without a tie, and one vest (all of them shown below). Add to that the 5 pants and the jacket, and you will have a whole wardrobe for the price of one suit! Price, let’s talk about it. Pale wants more people to be able to access his design, so he decided to cut the price of “Fatigued suit.” You can have it now for 795 Lindens! Well, the few negative points I had in my previous post about it are now out of date! More than ever, “Fatigued Suit” is a real must have! One more suit from Pale Heretic! Pale Janus offers us his new creation, always as stylish, “Fatigued suit.” As usual, textures and seams are impeccable. Pale’s sense of details is very cool, like the label or the patterns of all the pieces. “Fatigued suit” comes with a lot of elements: an open jacket, with patterned arms, 3 pair of low rise pants (shown), including a vinyl one, 2 pairs of high rise pants, 6 black shirts including 5 shirts with different ties, and a sleeveless vest. All are Copy-Modify-No Transfer. As usual, all those elements allow you to build different looks, from the most edgy to a more classic look. “Fatigued suit” makes a perfect semi casual outfit. The Vinyl version is really trendy, I saw tons of vinyl in Italy this month on the street in Firenze, in the shops and in the magazines. Wear the vinyl pants with the vest in a club, you will have success for sure! • What I like: the style, obviously, and the sense of detail, yes I love it for that! • What I like less: The lack of contrast of certain patterns, especially on the ties. I mean, when you wear a suit like that, you want the details to show off a little bit more! What is really difficult to understand is the pricing scheme of Pale Janus. One more time, the suit is overpriced. The introductory price is almost fair though, so if you are interested, go grab one now. Fatigued Shirt Fill In, Fatigued Suit - Pants LoTop. PALEHERETIC Fatigued Shirt - Tie2, Fatigued Shirt Fill In, Fatigued Suit - Pants Detail LoTop. I was immediately impressed with the quality of this Etched Suit from Pale Heretic. The style is simply perfect–it reminds me of some suits and other clothing by Dominique Morlotti (under his own name and for Lanvin) that I am lucky to own irl (by the way, what a pity he left fashion design three years ago now!). Textures and seams are very well made. Details like the buttoned tag are beautifully executed. Pale Janus, the creator, is a RL designer, which probably explains the level of quality this first release shows. This classic revisited suit, tailored and marketed for trendsetters, is a pure pleasure to wear. First, at 1495 lindens, this suit is overpriced. Price isn’t a consideration when I choose clothes to show on slmen. People can see them in shops, I dont force anyone to buy them, and prices are usually pretty similar from one brand to the next. I know that it’s only around 6 USD, less than three coffees at Starbucks, but compared to other quality designers, it’s really steep. I know that prices in SL are really low, and I think that’s good. 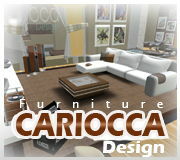 I also know that for a RL designer new in the game, the prices in SL could seem ridiculously low. The good thing is that the designer offers a special introductory price of 995 lindens for a limited time. At this price, it’s expensive, but frankly I’m ready to sacrify two Starbucks coffees for such a quality product. Second, I found that the possibilities were a bit limited with the elements provided. The suit comes with two well-designed tucked tee-shirts. I think that, for the price, we could ask for an untucked version, and a complement on the underpants layer for an untucked version one could wear with a low-rise pair of pants. I shared my thoughts with the designer and, you know what? Pale Janus promised me that those complements will be released in the next few days. Of course, these updates and those that follow will be completely free for the former owner of a Pale Heretic Etched Suit. To achieve this exceptional review (as I don’t do reviews here usually–today I thought it useful to impose my thoughts on you, sorry about that ;)), I will add that all the pieces are fully modable, so the tees are tintable, with copy-non transfer perms. You could keep a copy of each tee shirt your dyeing skills could produce! And yes, this “Eteched Suit” from Pale Heretic will join four other outfits I already keep in my special “Everyday Outfits” folder. I do love it. Addendum: The suit is updated, it comes now with the following supplements: an open jacket for a different look, a second pair of pants (low rise one), lower complements for the T-Shirts, so they become wearable with low rise pants! More to come very soon : untucked versions for the shirts. If you didn’t receive your update yet, ask for it!